I recently picked up this nail polish from Urban outfitters and I had to share it with you because I can't stop looking at my nails! It is so pretty! It almost looks like a foil and when the light shines on it they glitter and change colour from blues, reds, greens and yellows. It lasts well and I haven't seen anything quite like this before. 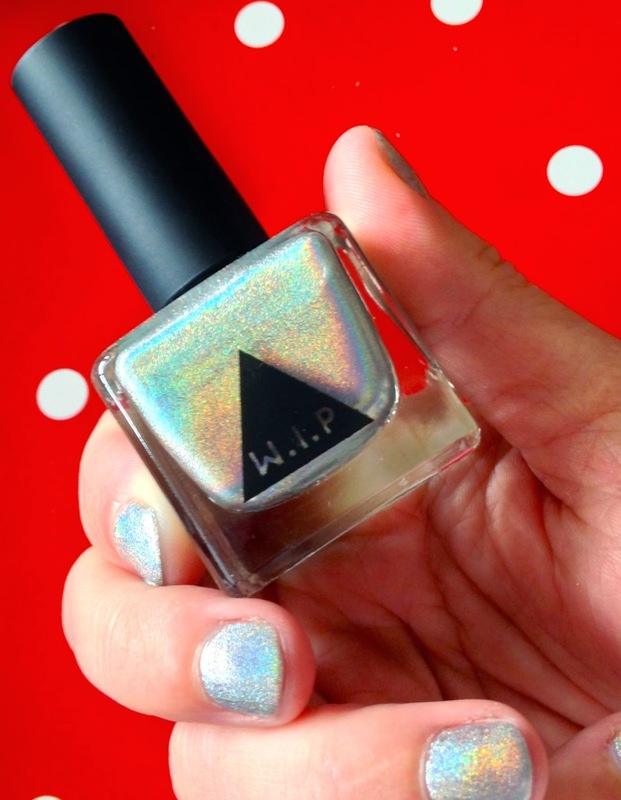 It is hard to get the full effect from the photos but I seriously recommend this if you like sparkly nail polishes. 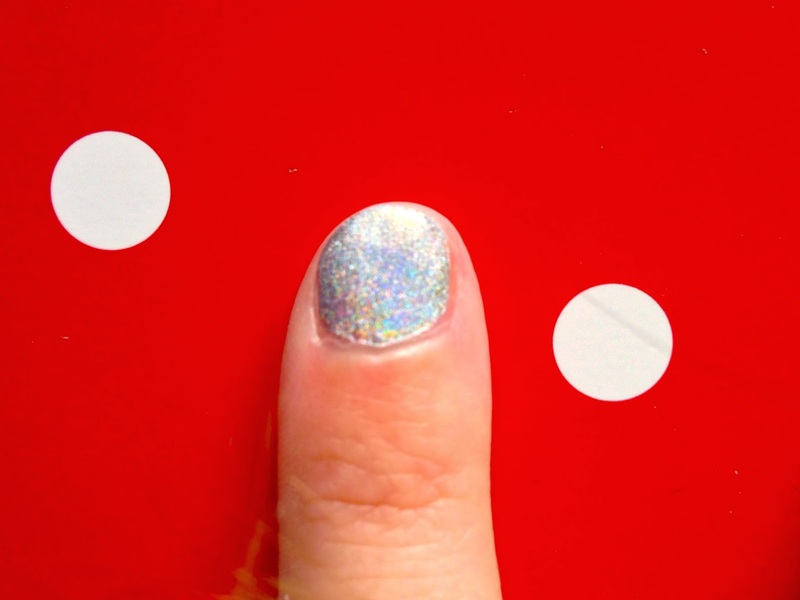 This glitters it the light but doesn't contain actual glitter so it is easy to get off with nail polish remover too. Bonus! You can buy it here for £12.